(WINTERSET, IA) – On October 13-14 the 49th Annual Madison County Covered Bridge Festival will take place in Winterset, Iowa. The home of 6 historic covered bridges (some over 140 years old) which inspired a best-selling novel, award-winning Hollywood movie, and Tony Award®-winning Broadway musical, the community of Winterset is preparing to host thousands of visitors who enjoy historical activities, old-fashioned craft demonstrations, arts and crafts vendors, and exciting, live entertainment. This year’s festival theme, “Dream Big Dreams,” is a celebration of the life and inspiration of Dr. George Washington Carver, who lived and worked in Winterset in the late 1800s. Special guest Paxton Williams will portray Dr. Carver over the festival weekend with interactive children’s programs, appearances at Carver Park and the Iowa Theater, and in the parade. Many new vendors will be featured on the festival grounds, with an array of vintage finds, handmade crafts and repurposed treasures. There will also be demonstrations, such as chainsaw carving, pottery making, sheep shearing, and a special bridge-building activity for children and families. “Dream Big Dreams” events will feature children’s activities led by the Madison County ISU Extension, Plant Grow Fly, and a representative from the George Washington Carver National Monument National Park Service in Diamond, Missouri. Many beloved activities of the Covered Bridge Festival are also back, including a quilt show, car show, tractor ride, pancake breakfast, 5K run/walk, Spelling Bee, re-enacted Civil War battle, and horse and carriage rides. Each year a limited-edition coin is struck, featuring a notable community landmark. Dr. George Washington Carver is featured on the bronze coin, which is limited to a mintage of 900 coins. Local artist, Carol Bassett provided original artwork for the coin. The Madison County Covered Bridge Festival was founded in 1970 by a group of active and passionate citizens eager to tell the stories, lore, and history of Madison County. 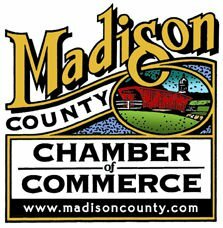 As the event grew in scope and size, the Madison County Chamber of Commerce took over organizing and hosting duties. Additional Covered Bridge Festival information is available by calling 515-462-1185, or visiting the Madison County Chamber’s website, www.MadisonCounty.com.